Mouse anti human MLH1 antibody recognizes the DNA mismatch repair protein MLH1, also known as mutL homolog 1 or colon cancer, nonpolyposis type 2. This antibody has been extensively validated for western blotting using whole cell lysates. Mouse anti Human MLH1 antibody recognizes the DNA mismatch repair protein MLH1, also known as mutL homolog 1 and colon cancer, nonpolyposis type 2. MLH1 was identified as a locus frequently mutated in hereditary nonpolyposis colon cancer (HNPCC). It is a human homolog of the E. coli DNA mismatch repair gene mutL, consistent with the characteristic alterations in microsatellite sequences (RER+phenotype) found in HNPCC. Alternative splicing results in multiple transcript variants encoding distinct isoforms. Additional transcript variants have been described, but their full-length natures have not been determined (provided by RefSeq, Nov 2009). 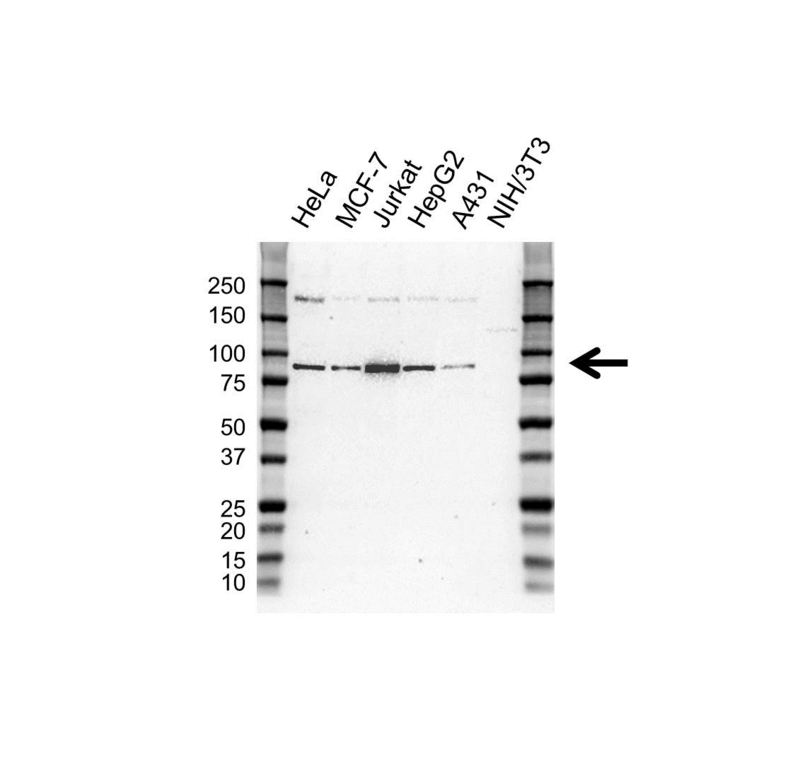 Mouse anti Human MLH1 antibody detects a band of 85 kDa. The antibody has been extensively validated for western blotting using whole cell lysates.